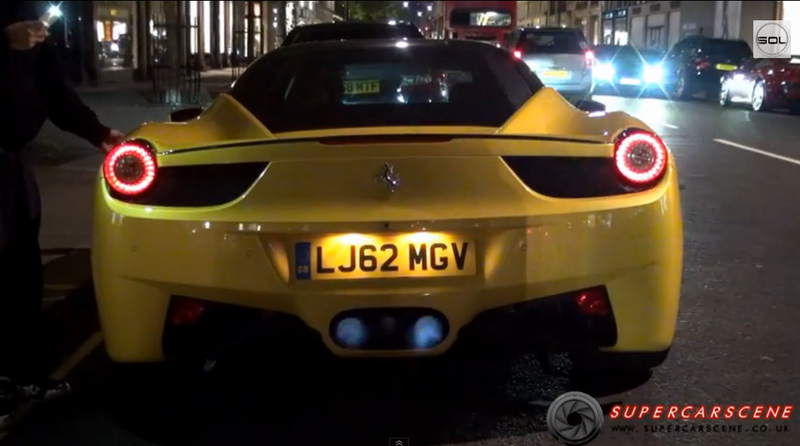 No wonder most residents of Knightsbridge hate supercars, especially the ones coming from Middle East. 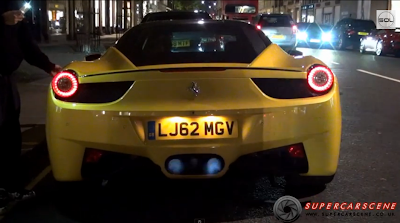 They tend to show off around the exclusive district of London all the time, and honestly as much as I love to hear them, I would be quite pissed to hear a 458 Italia (fitted with a bloody noisy Novitec Rosso exhaust) like this which keeps to the rev the engine to the limit for so long. Also, according to the comments on the video on YouTube, a spotter that was present in that moment claimed that someone threw them an onion from an apartment window! However, the owner seems to know to let the engine roar and shoot tiny but lovely flames to see! Like the ignorantis who blare the music loud, assuming everyone else wants to hear it. It's not cool, it's stool. So sick! Here is my question, will people like us who worship cars, ever find a cure for our addiction? If they do, I hope they never tell me! Hey you guys should check out TAG MY RIDE, it's a new all auto app, with tagging, parts data base, want, and soon buying feature! Its on IOS, it's awesome, you guys have so many good pics and etc you can put on there! I'm on there @auto_erotica and instagram. You can have all the money you want but being so unheducated makes you loose 1000 points.